To see a circle as a container of life we become witness to creation itself. By observing nature, humans were able to record the circular order of the cosmos. A solar year (approx. 365 days) inspired the definition of a circle; 360 equidistant points of light equally spaced around a center point. Circles transcend the linear world they contain, creating unity and infinity. 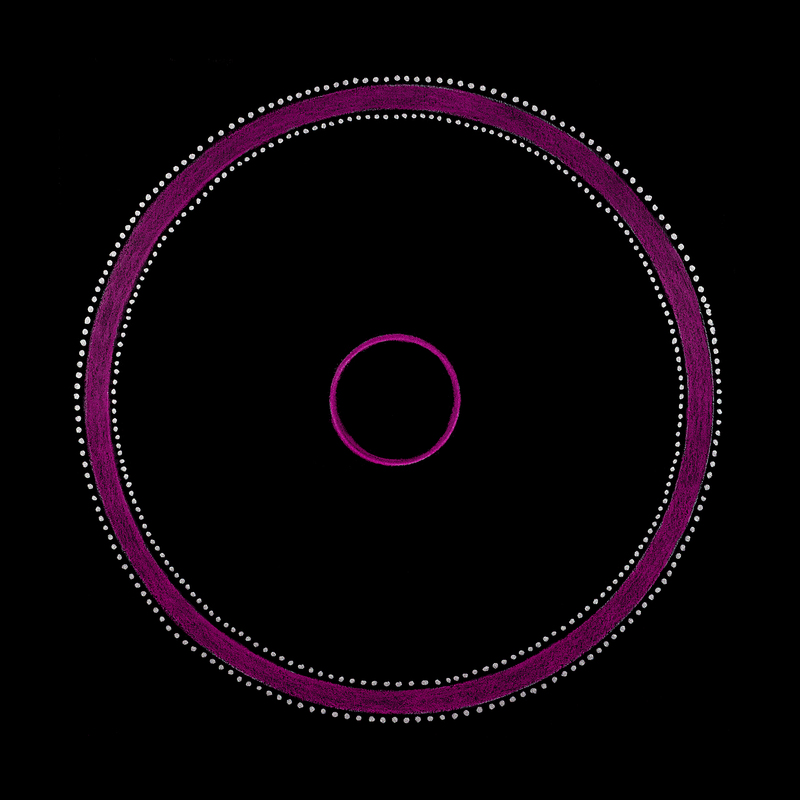 The actual word circle originated in Homeric Greek meaning “hoop” or “ring.” In Pythagorean terms, a single circle can be seen as one unit (1) called a monad. A monad is both the creator of many and the sum of all, as one and whole. Circles are primordial symbols in the sense that they represent the organizing principle of everything. They have inspired ancient minds as well as philosophers, mathematicians, astronomers and artists. The Rhind Papyrus of Egypt – 1650 BCE, is the first written text to define the area of a circle. Around 300 BCE, Euclid, a Greek mathematician, began to assign properties to circles. Archimedes (287-212 BCE, Greece) was the first to identify the exact calculation of Pi (π) as the ratio of the circumference of a circle to its diameter, or 3.14159. This still holds true today as Pi has been calculated over two quadrillion decimal points without a repeating pattern. Plato explained in his “Seventh Letter” that the circle is a form that goes beyond definition or explanation. It is this unique relationship between humans and circles that intrigues the mind and transcends thought. Its mere simplicity grounds us to the earth through our root chakra, while its infinite nature inspires us to cultivate and create something new. Message: You are in a period of manifestation. Release your attachment to outcome and trust in your potential and its infinite possibilities. Remember you are the container and the creator of your reality.